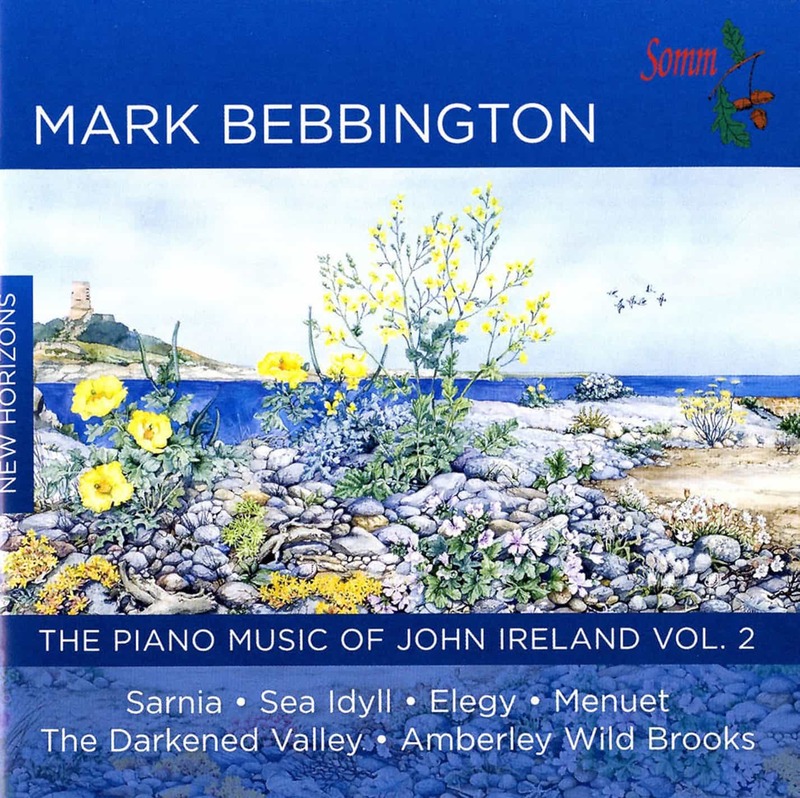 Volume 2 contains one of Ireland’s undeniable masterpieces – Sarnia: An Island Sequence which is Ireland’s evocation of, and tribute to Guernsey, an island where he had achieved possibly the greatest happiness and contentedness in his life. The composer took up residence in Guernsey late in 1930 and his affection for the Channel Islands never waned. He began composing Sarnia (the Roman name for Guernsey) in 1919. The first piece, Le Catioroc, evokes a prehistoric stone burial chamber. The brooding desolation, gradually gives way to a dancelike middle section evoking the Witches’ Sabbath, the music full of dotted rhythms and swaying figures. The mood of the second piece, In a May Morning is serene and sunny, Ireland at his most contented. The third piece, Song of the Springtides, takes the listener straight into a springtide seascape in which flowing arpeggios lead to a middle section, calmato in E flat, in which the tempo slows, and the emotion is one of oceanic calm. Forty years earlier, while still a student of Stanford at the Royal College of Music in London, Ireland wrote Sea Idyll. As with many of his student works, however, he was not satisfied with it and withdrew it from circulation. Alan Rowlands recorded the three pieces for LP on Lyrita in 1970 and Eric Parkin later recorded the first movement for Chandos. This is the first complete recording on CD. This CD also includes A Downland Suite in four movements. The Elegy and Menuet are among Ireland’s most popular compositions, the Elegy having an Elgarian flavour in its melodic structure and the charming Menuet having something of a bucolic feel. The Suite started life as the test piece, in 1932, for the National Brass Band Championship of Great Britain and this is the first recording of the arrangement for piano. The Greenways Suite dates from 1938 and comprises three pieces of differing character: The Cherry Tree, Cypress and The Palm and May. It was written for the pianist Harriet Cohen. The Darkened Valley (1922) is prefaced by a quotation from William Blake: (“Walking along the darkened valley With silent Melancholy”) The two pieces For Remembrance and Amberley Wild Brooks were written in 1921. The first is a sombre elegy. Amberley Wild Brooks is an area of wet grassland, streams and ditches just north of Amberley, a picturesque village overlooked by the South Downs in West Sussex. This is one of Ireland’s most inspired piano pieces, an exuberant musical watercolour in the same vein as The Island Spell. Villanella was written in the early 1900s as an organ work. Although Ireland had become a Fellow of the Royal College of Organists by the age of 16, and made his living as an organist and choir master for 25 years, he wrote surprisingly little organ music. 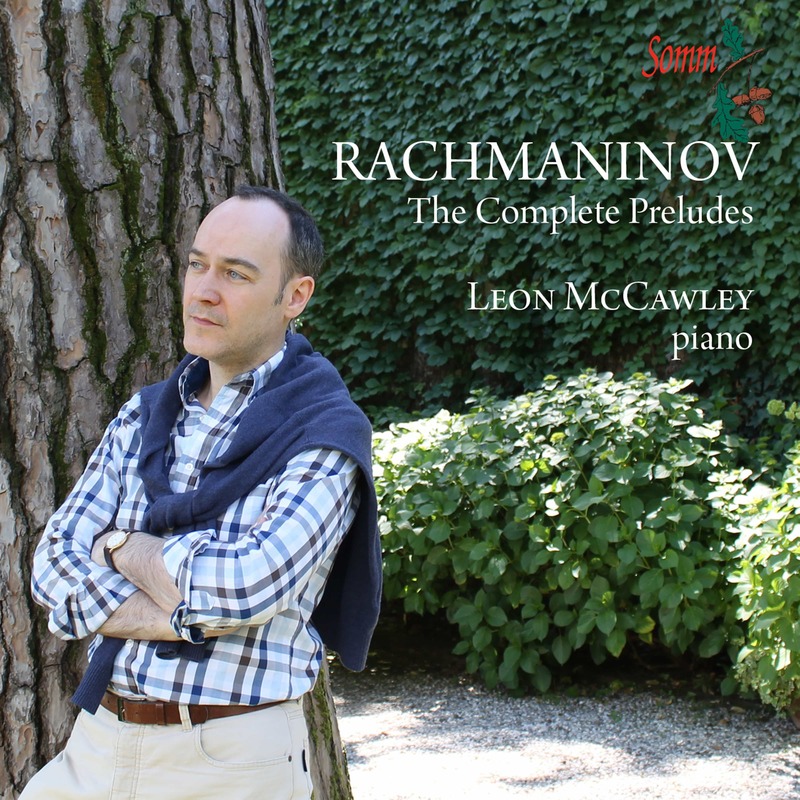 This charming salon piece has the feel of an Edwardian miniature and it here receives its first recording in the arrangement for piano, which Ireland made in 1912. The American composer, pianist and teacher Robert Helps (1928-2001) taught music and composition at the University of South Florida at Tampa. He loved and admired English music of the first half of the 20th century, in particular Ireland and Bax, and in 1995 he produced what he called a ‘free and strict’ transcription for piano of Ireland’s setting of ‘Love is a sickness full of woes’ by Samuel Daniel (c. 1562-1619). He wrote it for two music students who were in the throes of an unhappy love affair. We include it here as a beautiful and expressive tribute from one composer to another. 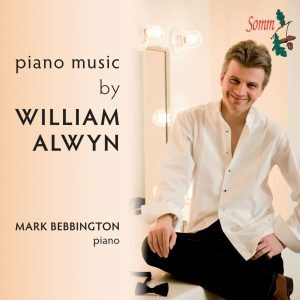 Mark Bebbington is fast gaining a reputation as one of today’s most strikingly individual young British pianists. His recent discs of British music for SOMM’s New Horizons series have met with unanimous critical acclaim and his Arnold and Lambert disc (SOMMCD 062) and Frank Bridge Piano Music Volume 1 (SOMMCD 056) have featured as a Gramophone Magazine Editor’s Choice and BBC Music Magazine’s 5 stars Instrumental Choice, respectively. Over recent seasons Mark has toured extensively throughout Central and Northern Europe, the Far East and North Africa and has performed at major UK venues with the London Philharmonic, Philharmonia and London Mozart Players. As a recitalist he makes regular appearances at major UK and International Festivals. A Recipient of numerous international awards and prizes, including a Leverhulme Scholarship and a Winston Churchill Fellowship, Mark studied at the Royal College of Music with Phyllis Sellick and Kendall Taylor and in Italy with Aldo Ciccolini. 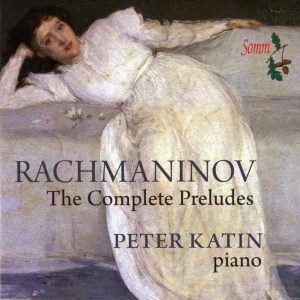 His close collaboration with SOMM extends to over 15 discs (some of these yet to be released), made up almost exclusively of recordings of English Piano Music. Next month features Bebbington’s recording of Works for Piano and Orchestra — SOMMCD 241 Alan Rawsthorne’s Piano Concerto No. 1 for String Orchestra and Percussion, Ferguson Piano Concerto and Finzi’s Eclogue as well as a first recording of the Frederic Austin Piano Concertino adapted for smaller orchestra by David Ellis). The recording is with the CBSO conducted by Howard Williams. 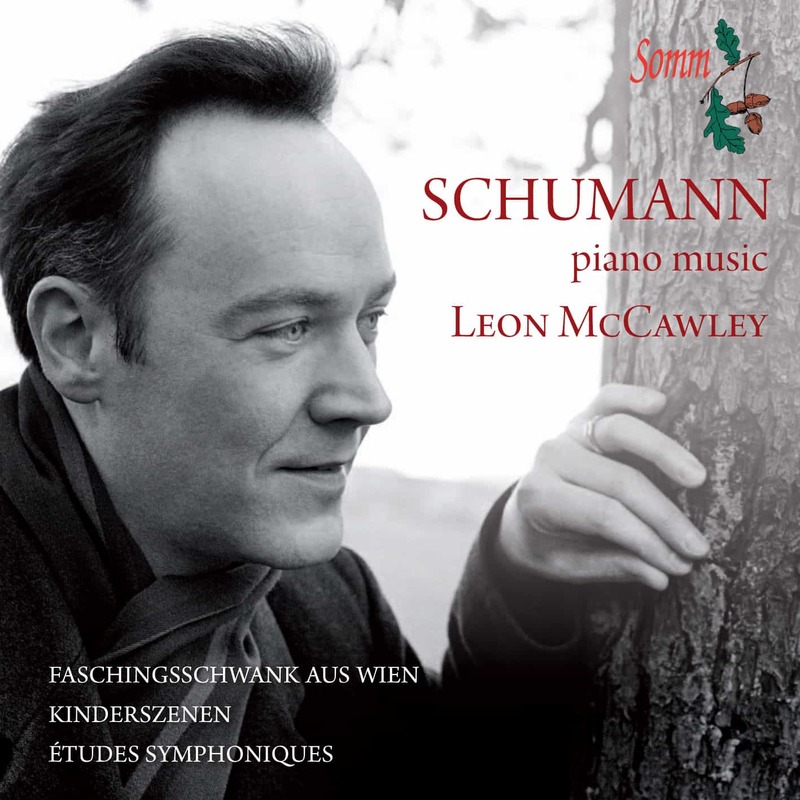 In October 2009 SOMM will feature an exciting new release of a premier recording of a work still unpublished — Bax’s Concertino for Piano & Orchestra SOMMCD 093, dedicated by Bax to Harriet Cohen but still left incomplete at the time of his death. It was recently orchestrated and completed by Bax’s Editor Graham Parlett who was commissioned by the Bax Trust to complete the work. This is coupled with the Ireland Piano Concerto and Legend for Piano & Orchestra with The Orchestra of the Swan, conducted by David Curtis. ” …in Bebbington’s hands, these are particularly compelling and systematically thought-through performances. Although he nods implicitly in the direction of the thoroughly grounded readings of previous recordings, Bebbington also dares to propose alternative priorities and insights…. International Record Review, June 2008.